The Federal Communications Commission’s headquarters in Washington, D.C.
Satellite service provider Globalstar has dropped its controversial plan to launch a wireless network in the U.S. in part of an unlicensed band that Wi-Fi and Bluetooth use. The plan had alarmed supporters of those technologies who feared the network would interfere with them and effectively privatize unlicensed spectrum. Globalstar’s TLPS (Terrestrial Low-Power Service) proposal was one of several ideas introduced in recent years to mix licensed and unlicensed uses of spectrum. While some have been ruled out, others, such as LTE-Unlicensed, are moving forward. Globalstar has licensed spectrum in a band next to the 2.4GHz block of frequencies shared by Wi-Fi, Bluetooth, microwave ovens and many other technologies. It’s so close that in the U.S., part of the unlicensed band is set aside as a guard band to prevent interference. In most other countries, networks like Wi-Fi get all the spectrum because they don’t have to make room for Globalstar. The plan was to combine the licensed spectrum and the guard band and offer a land-based broadband service that would be like Wi-Fi but controlled by Globalstar. The network might have been provided by Globalstar or other service providers, and it was supposed to be offered to schools and hospitals. With modification, Wi-Fi radios could have used it. But Globalstar faced a tough crowd on the U.S. Federal Communications Commission despite the fact that its chairman, Tom Wheeler, supported the idea. 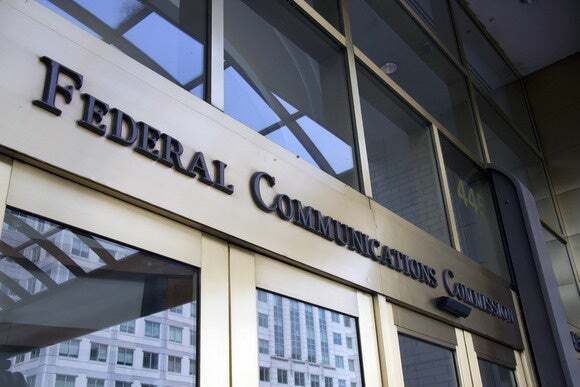 The company was still lobbying undecided commissioners until the presidential election on Tuesday, which will now put the FCC under Republican control starting next year. Now, Globalstar is only asking for the right to operate a land-based wireless service in its own licensed spectrum, which is currently allocated for satellite service. It still thinks the previous proposal would have been good for consumers, according to a company statement on Thursday. “Nevertheless, Globalstar also understands that when the Commission considers a proposal that shares spectrum with existing services in the critical 2.4GHz band, prudence dictates that the Commission take a measured and careful approach,” the company said. Only a massive, well-financed player like Verizon or AT&T could build a viable service on Globalstar’s 11.5MHz of licensed spectrum, said industry analyst Roger Entner of Recon Analytics. The hardest parts would be building the infrastructure and lining up a supply of devices. It’s likely Globalstar will sell the spectrum or create a partnership, he said. For worried consumers, there’s already a bright side. “It certainly eases the concerns that we would have had interference in the already very crowded 2.4GHz band,” Entner said.